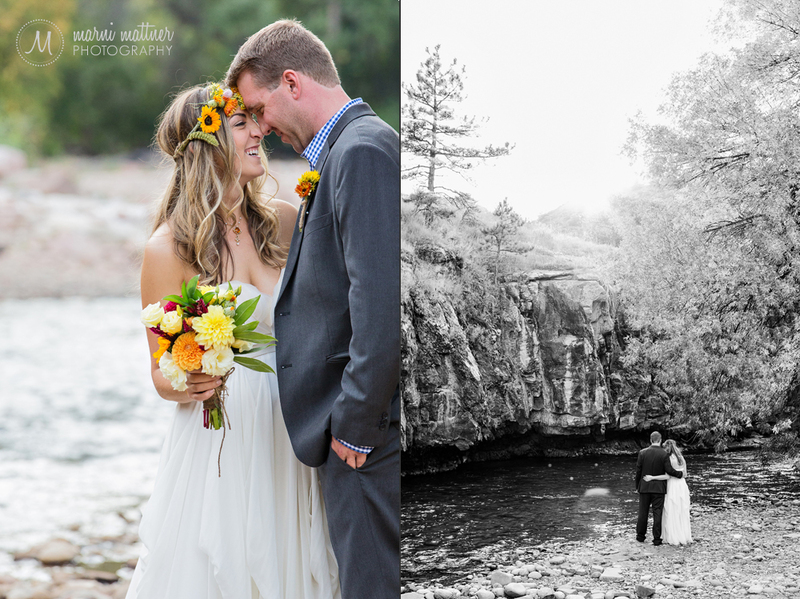 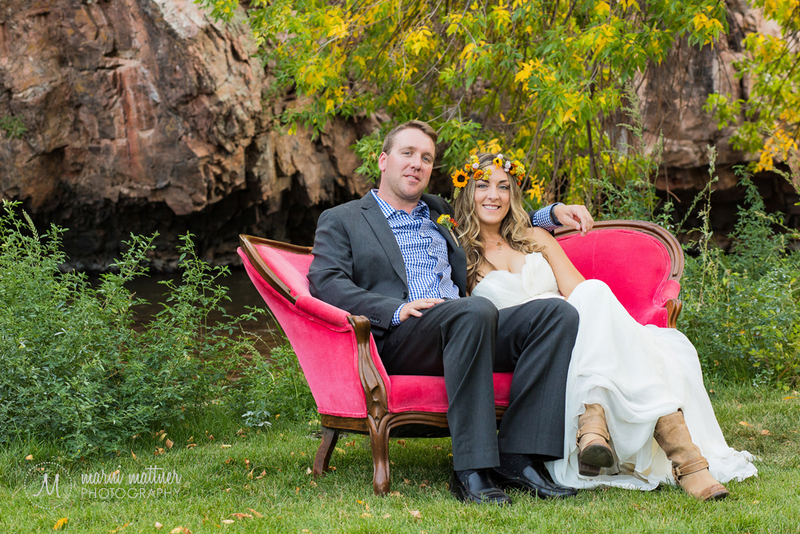 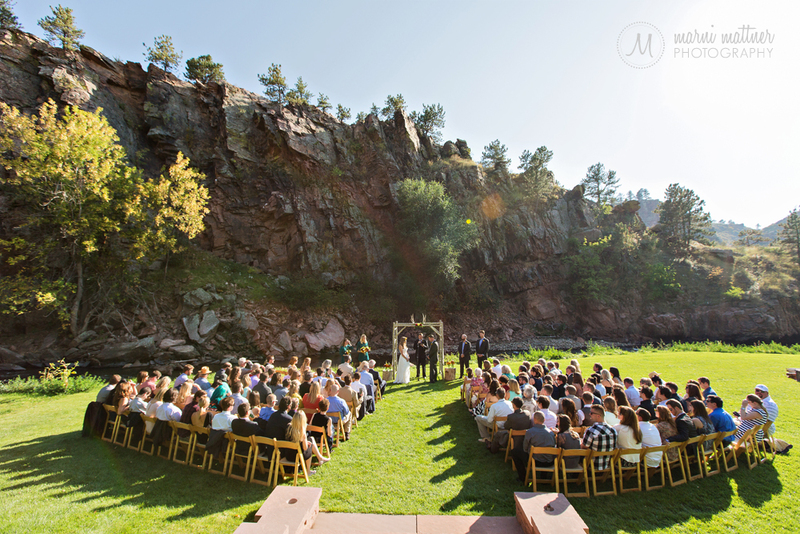 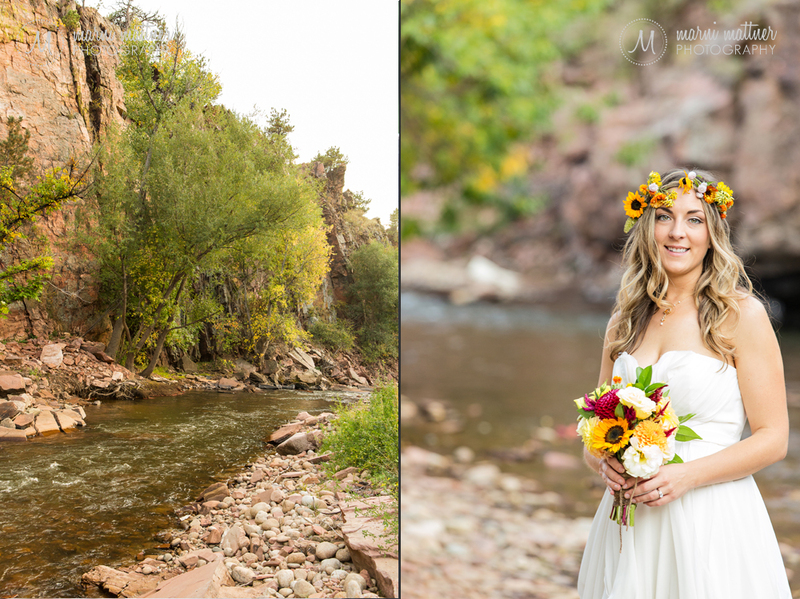 Riverbend in Lyon’s, CO is a new wedding venue opened in the summer of 2014 by the owners of the Lyons Farmette. 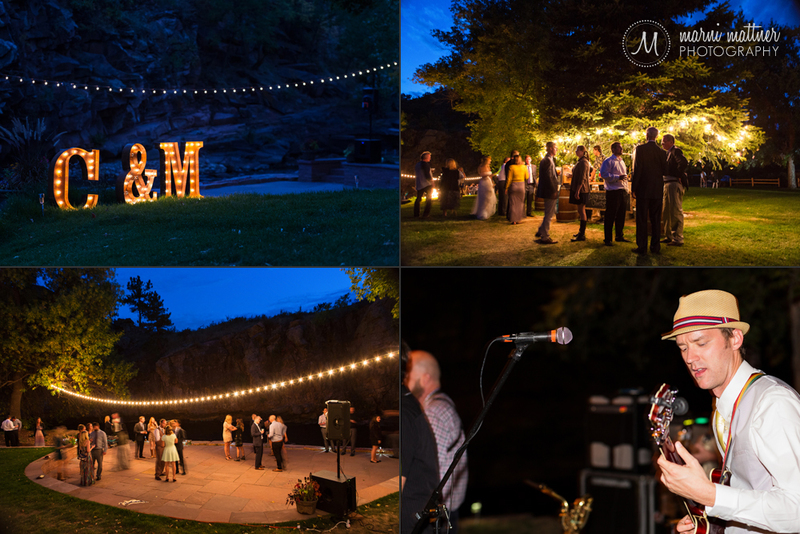 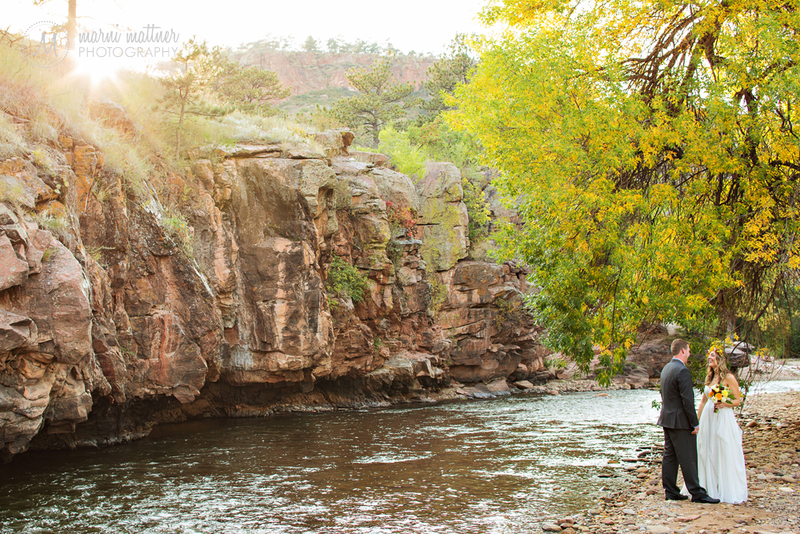 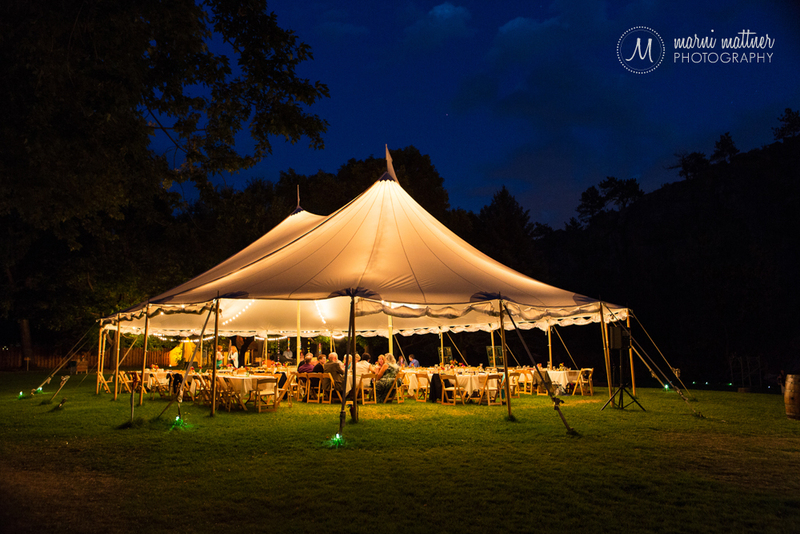 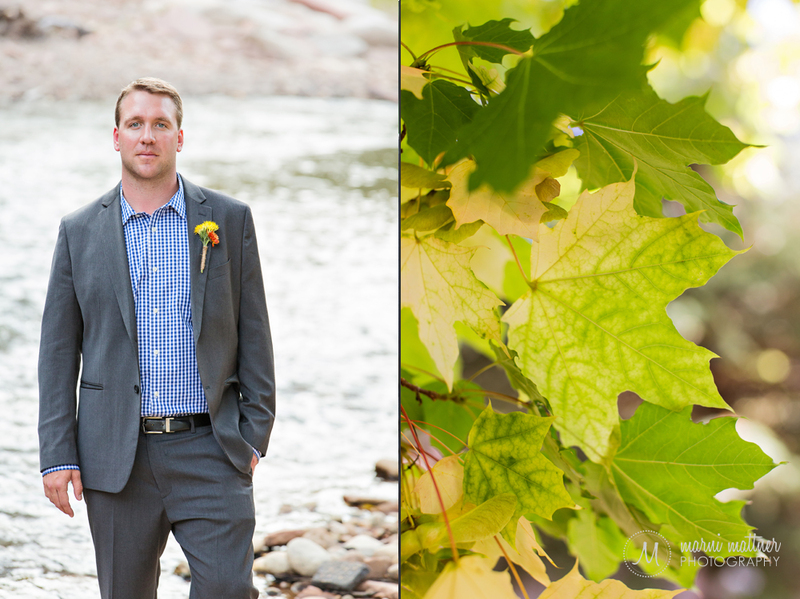 Matt & Christy were among the first couples to be married here, and their fall wedding was breathtaking. 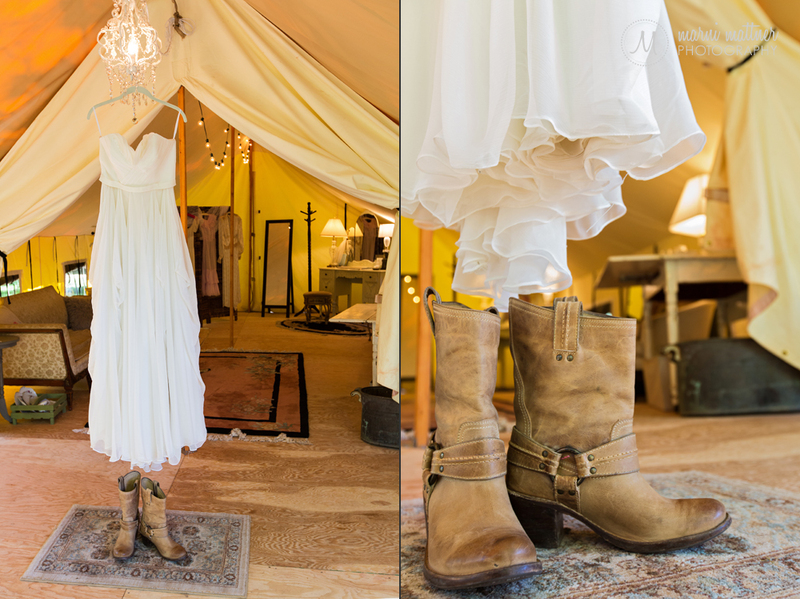 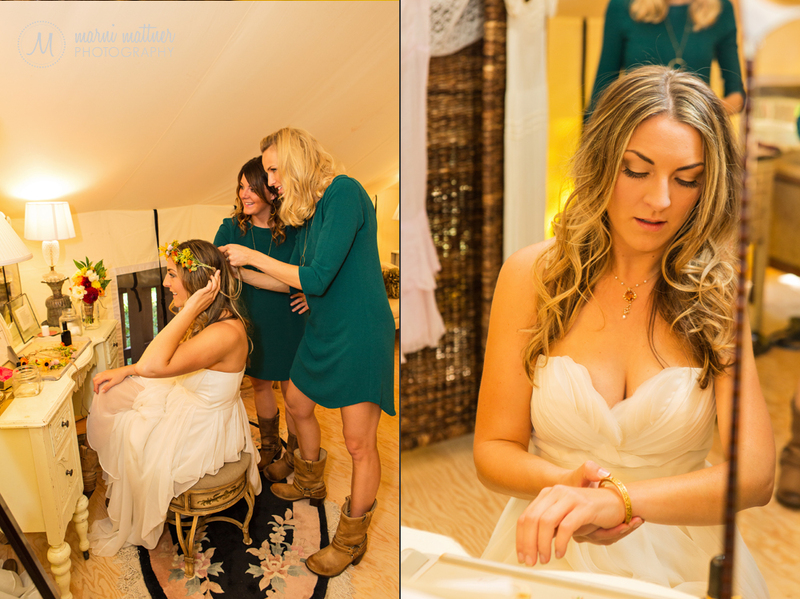 Riverbend has a “glamping” tent where the bride and her bridesmaids can get ready, and plenty of room to spread out for the wedding ceremony, reception and enjoying the day by the river. 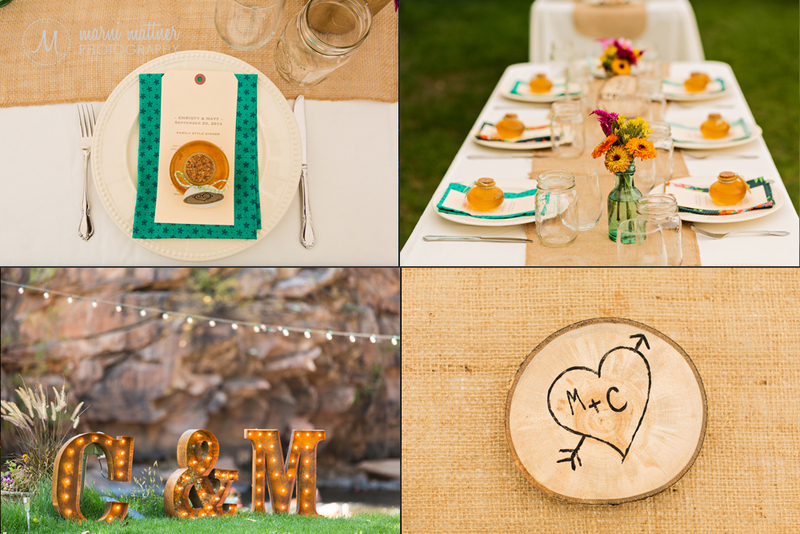 Christy spent a ton of time on the handmade details (take note, DIY brides!) 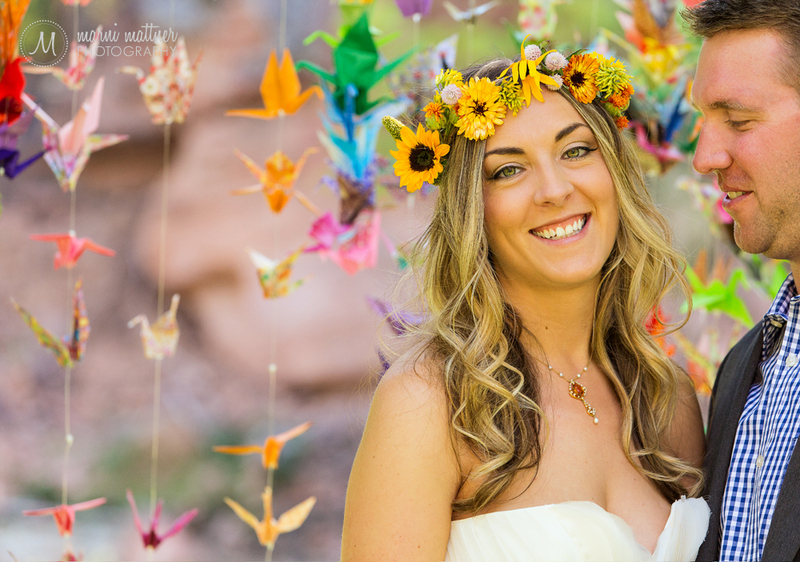 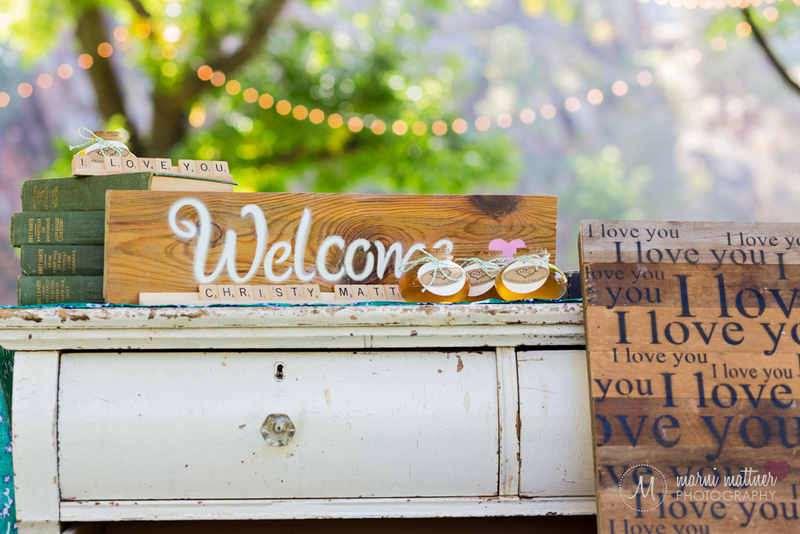 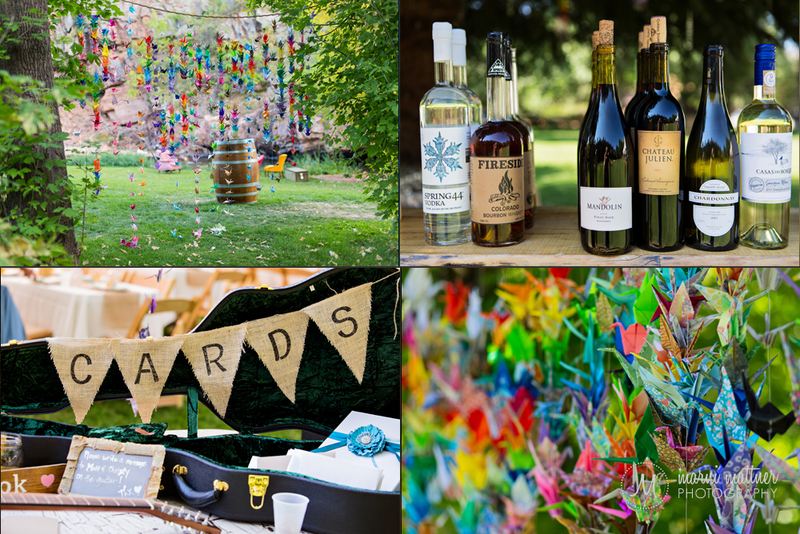 such as wood burning their initials on each rustic wood ring centerpiece and enlisting some help with making hundreds of colorful paper cranes. 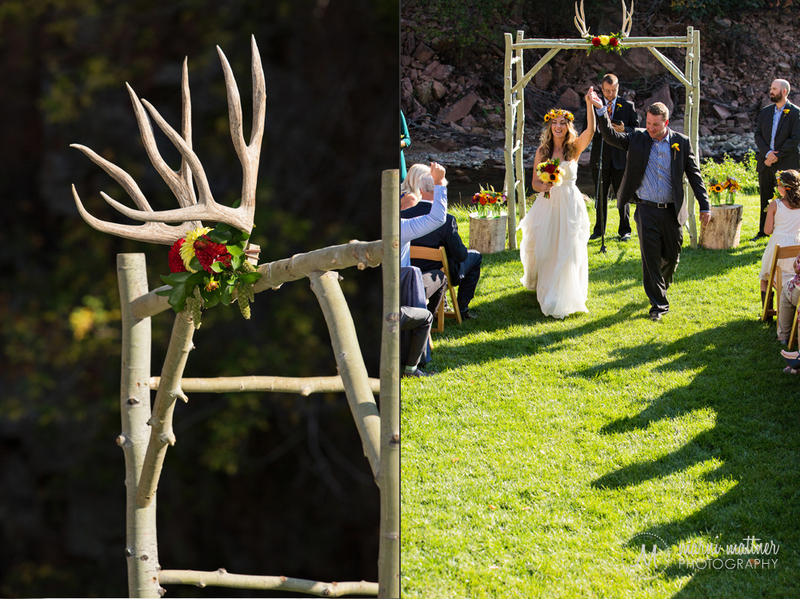 And don’t miss the handmade stunning antler arbor they were married under!